Germanium is a brittle, crystalline, grayish-white metalloid element that is found in coal, in zinc ores, and in several minerals. Its atomic number 32; atomic weight 72.59; melting point 937.4°C; boiling point 2,830°C; specific gravity 5.323 (at 25°C); valence 2, 4. Pure germanium is a semiconductor with an appearance similar to elemental silicon. Like silicon, germanium naturally reacts and forms complexes with oxygen in nature. It is used as a semiconductor and in wide-angle lenses. Germanium is stable in air and water, and is unaffected by alkalis and acids, except nitric acid. It is an important semiconductor, mainly used in transistors and integrated circuits. They are often made from germanium to which small amounts of arsenic, gallium, or other metals. Germanium forms many compounds. Germanium oxide is added to glass to increase the index of refraction; such glass is used in wide-angle lenses and in infrared devices. Numerous alloys containing germanium have been prepared. High purity germanium single crystal detectors can precisely identify radiation sources (e.g. for airport security). 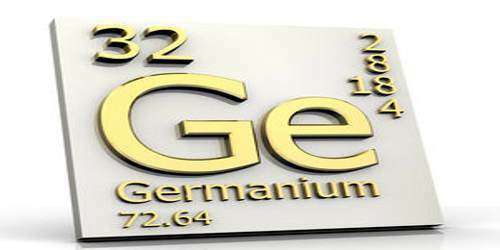 Germanium is not thought to be an essential element for any living organism. It is mainly a byproduct of zinc ore processing. It is a hard, grayish-white element; it has a metallic luster and the same crystal structure as diamond; and it is brittle, like glass. The development of the germanium transistor opened the door to countless applications of solid-state electronics. From 1950 through the early 1970’s, this area provided an increasing market for germanium, but then high purity silicon began replacing germanium in transistors, diodes, and rectifiers. World germanium consumption has been greater than primary production in recent years, but releases of germanium from government stockpiles and increased recycling have provided adequate supply. 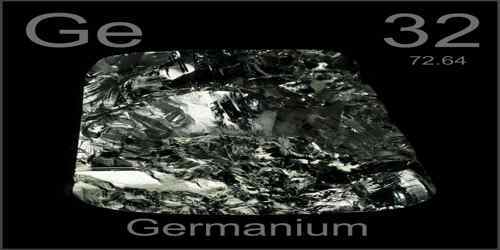 The yearend price for germanium in 2000 was $1,150 per kilogram. Germanium-containing dust which appears after nonferrous metals processing is subject of leaching by H2SO4 solution. Germanium concentrate is separated from solutions, usually by as well as Co-Zn codeposition with other elements, for instance, Fe as Fe(OH)3 at pH 4.8-5.4. Germanium minerals are also present in zinc ores, and commercial production of germanium is carried out by processing zinc smelter flue dust. 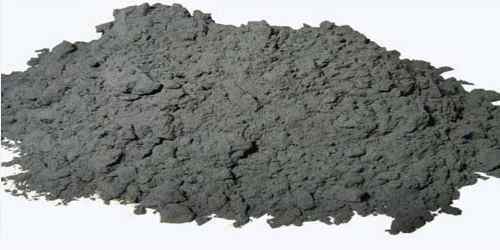 It can also be recovered from the by-products of combustion of certain coals. Germanium is a semiconductor. The pure element was commonly doped with arsenic, gallium or other elements and used as a transistor in thousands of electronic applications. Today, however, other semiconductors have replaced it. Germanium oxide has a high index of refraction and dispersion. This makes it suitable for use in wide-angle camera lenses and objective lenses for microscopes. This is now the major use for this element. It is also used as an alloying agent (adding 1% germanium to silver stops it from tarnishing), in fluorescent lamps and as a catalyst. Both germanium and germanium oxide are transparent to infrared radiation and so are used in infrared spectroscopes. 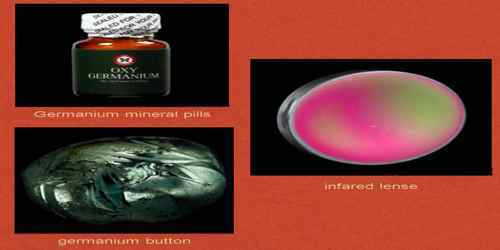 The estimated daily intake is around 1 mg, and there have been claims that germanium could be beneficial to health, athough this has never been proved scientifically. A high intake of germanium was supposed to improve the immune system, bost the body’s oxygen supply, make a person feel more alive and destroy damaging free radicals. Some of germanium’s artificially-produced compounds are quite reactive and present an immediate hazard to human health on exposure. For example, germanium chloride and germane (GeH4) are a liquid and gas, respectively that can be very irritating to the eyes, skin, lungs, and throat. The gas is heavier than air and may travel along the ground; distant ignition possible. As a heavy metal it is considered to have some negative impact in aquatic ecosystems.